pilihan fans: what pokemon is fat free?-Butter-Free! Is Eevee a cute Pokémon? pilihan fans: Yes, he is very cute! Yes, he is very cute! which one of eevee's evolutions would anda evolve into? 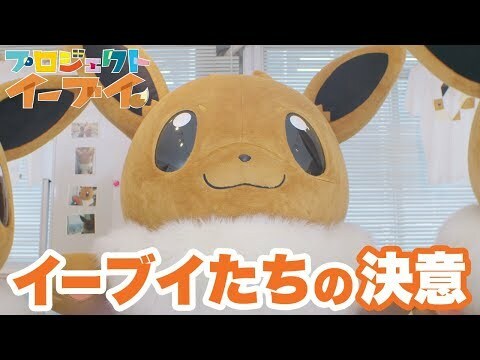 Can anda name all of eevee's evolutions? which eeveelvoltion is ur favourite and y? I just got my eevee and i was gonna nickname it candy. should i nickname it candy,not nickname it at all,or if anda have a suggestion tell me? "im gonna go for a quick dip. Ok mom? Eevee asked her mother as she headed for the pond. "Ok sweetie! Just a real fast swim! It looks like storms comin ok?" Espeon yelled after her daughter. "OK MOM SEE YA IN A LITTLE!" .....SPLASH! eevee dives into the pond. Underwater she swims deeper into the water, then bumps into her best friend atau (as eevee would say)BFF, a goldeen. Goldeens been eevees bff ever since she saved eevee from drowning at 5 yrs old. Now they are super close friends! //eevee wake up sweetie, its breakfast time!// //coming mom!// eevee squeaked. eevee scurries out of her sarang, den towards her mother, espeon. //mom I had a weird dream last night!//she exclaims. //what was it about?// her mother questioned. ..DREAM SEQUENCE..
a comment was made to the poll: Favourite Vaporeon card? What kind of evolution eevee doesn't have?